Roll over, Beethoven, and tell Chicago the news. For throughout its 2019-2020 season, the Chicago Symphony Orchestra, along with many additional artists under the Symphony Center Presents banner, will celebrate the 250th anniversary of the birth of Ludwig van Beethoven in a wide array of concerts designed “to explore the composer’s individuality, power and genius.” The announcement comes at the very moment the CSO is completing its whirlwind tour to Asia where it already has made stops in Taiwan and China, and is now performing in Tokyo and Osaka through Feb. 4. Among the highlights of the season – which also will mark Maestro Riccardo Muti’s 10th season as music director of the CSO – will be a cycle of Beethoven symphonies conducted by Muti, including the First, Third (“Eroica”) and Sixth (“Pastoral”), with a grand finale performance of the Ninth (last heard at Symphony Center in September 2014, with a live recording of those concerts subsequently attracting 14 million viewers on YouTube). And that is far from all. Additional programs will feature other Beethoven masterworks including: Violin Sonata No. 6, performed by Christian Tetzlaff; Violin Sonatas No. 4 and 5 (“Spring”) and No. 9 (“Kreutzer”) performed by Anne-Sophie Mutter; the composer’s only Violin Concerto, performed by Leonidas Kavakos; and the 1st and 4th Piano Concertos performed by Paul Lewis. A program of the Beethoven’s piano trios will feature pianist Emanuel Ax, violinist Kavakos and cellist Yo-Yo Ma. And the rarely heard “Namensfeier Overture” and concert aria “Ah! perfidio” (sung by soprano Camilla Tilling) will be conducted by Susanna Malkki. All this said, the season will by no means be all Beethoven all the time. Muti will lead the CSO in two rarely heard works: African-American composer Florence Price’s Symphony No. 1 (which had its first performance in 1933, conducted by CSO’s second music director, Frederick Stock), as well as “Mother and Child,” a work by William Grant Still, known as “The Dean” of African-American composers. He also will conduct world premiere performances of works by three leading contemporary composers: Missy Mazzoli, the CSO Mead Composer-in-Residence; Nicolas Bacri and Pulitzer Prize-winner Bernard Rands. And the orchestra will perform the U.S. premiere of Avner Dorman’s new percussion concerto featuring Principal Percussionist Cynthia Yeh, as well as music by such American composers as John Adams, Samuel Barber, Mason Bates, Jennifer Higdon and James Lee III. 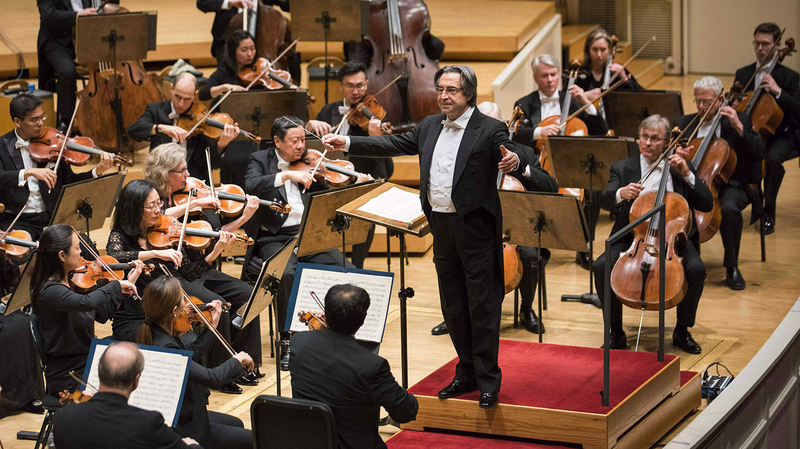 Muti will continue his much-beloved annual tradition of opening the CSO season with a free concert – a return visit (Sept. 24) to Chicago’s Lane Tech College Prep High School – with a program featuring Prokofiev’s Symphony No. 3 and a suite from the composer’s ballet, “Romeo and Juliet.” And he will continue his survey of Italian opera masterworks with a concert performance of Mascagni’s “Cavalleria Rusticana,” featuring an internationally acclaimed roster of soloists. The CSO and its extraordinary Chorus will appear in four performances of Carl Orff’s ever-popular “Carmina Burana,” led by conductor Alain Altinoglu. And there will be a slew of guest conductors and soloists on tap throughout the season, with special programming ranging from CSO at the Movies, to holiday concerts and much more. Touring plans for the CSO include a visit to New York’s Carnegie Hall in November 2019, and, in 2020, a tour to Europe (Vienna, Cologne, Paris and Naples), and to three Florida cities (West Palm Beach, Naples and Sarasota). For tickets, and the complete (and massive) 2019-2020 season lineup at Symphony Center, 220 S. Michigan Ave., visit cso.org or call (312) 294-3000.